Skipass Free Livigno will kick off Livigno's winter season. Whit this deal Livigno's winter season will officially begin. Which better way to get the winter started than with FREE skiing in the whole Livigno's Ski Area with our Skipass Free Livigno offer? Yes, you got it right..skiing FOR FREE! This is a unique opportunity..not to be missed! 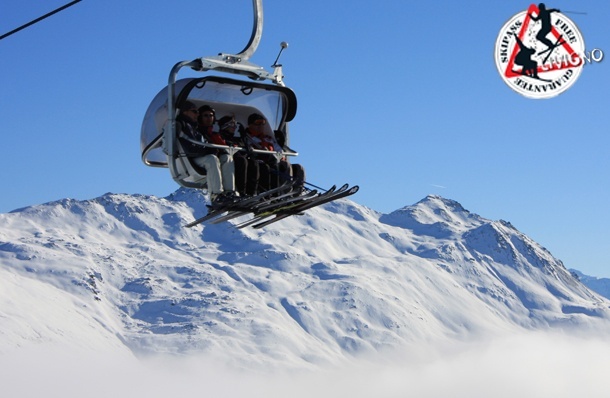 Take advantage of our Skipass Free offer to enjoy the first winter snow and ski FOR FREE in Livigno! 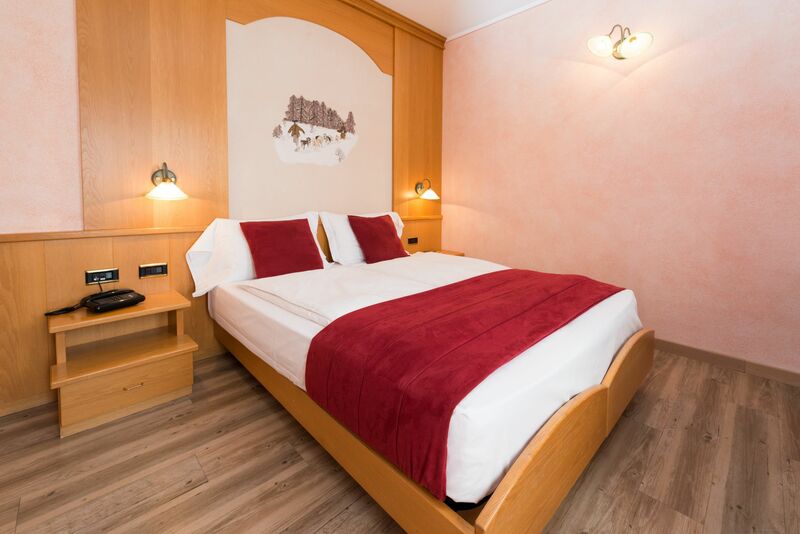 With a minimun stay of 4 night, in the period that goes from November 26th to December 22nd, you can ski in Livingo's Ski Area without limits: we will offer you the SKIPASS! 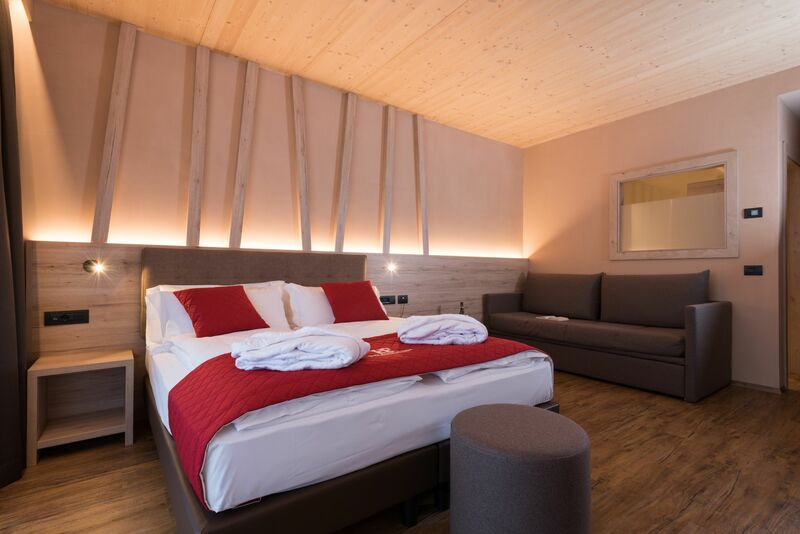 N.B: during the period 7-11 December the Skipass Free promotion is valid only for a minimum stay of 7 nights. our Comfort Rooms are located on the first floor of the hotel, with a surface of 14-24 mq depending on the type (double, triple, family). All our Comfort rooms are equipped with balcony, private bathroom, TV, phone, Tea kettle.  our Superior Rooms new-built during winter 2015/2016 are located on the second floor of the hotel and have a surface area of 18-27 mq depending on the type (double, triple, family). All our Superior rooms are equipped with balcony, private bathroom, TV, phone, Minibar and Tea kettle. our NEW Panorama Rooms, new-built during summer/autumn 2017 are located in the new part of the hotel, and have a surface area of 26-56 mq depending on the type (double, triple, family). 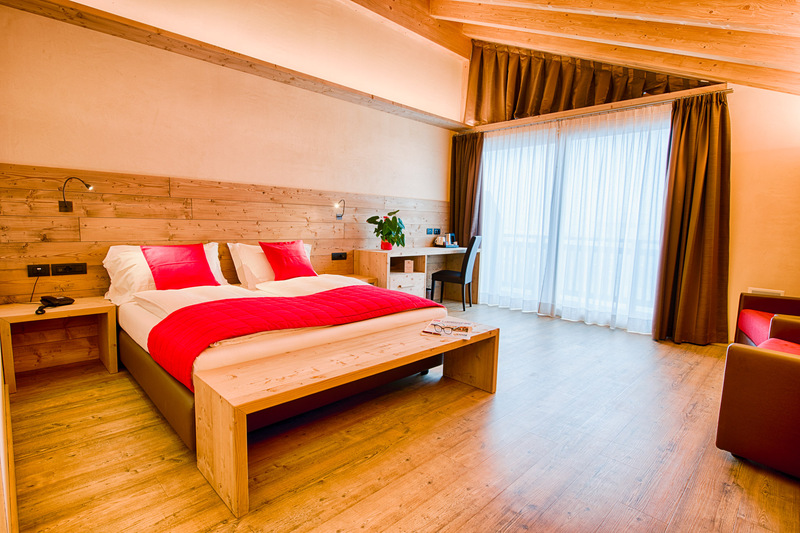 All our Panorama rooms are equipped with balcony, private bathroom, TV, phone, Minibar and Tea kettle. Our 4 Junior Suite, new-built during winter 2016, have a surface area of 38 to 45 mq and they are located on the 3rd floor. One of the Junior Suite has a Infrared Sauna while the other 3 have a Whirlpool. 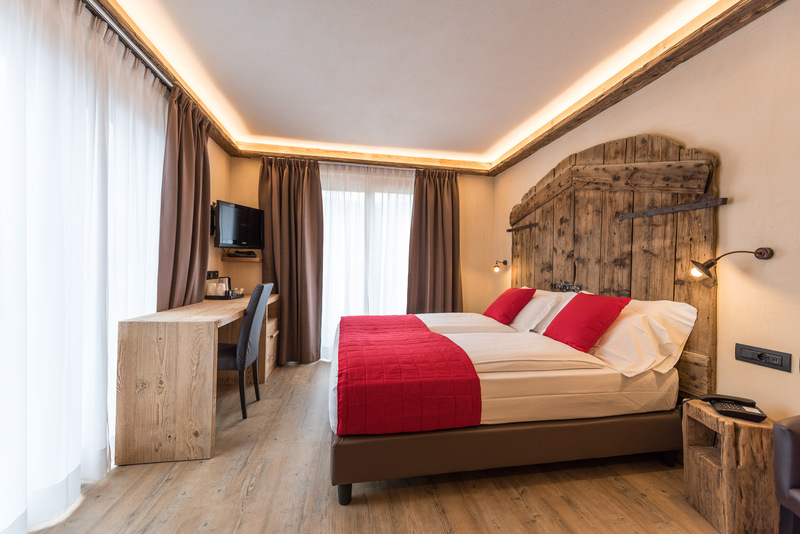 All our Junior Suite have in sight wooden ceiling (attic), balcony with 3mt sliding doors, private bathroom, TV, phone, Minibar and Tea Kettle.